Life in Delhi is tough. Every morning starts with the hassles of transit; changing the crammed full metros at different junctions, rush to reach office on time or getting stuck in Delhi’s incessant traffic for hours – this all is enough to make you very exhausted and exasperated by the time the weekend arrives. 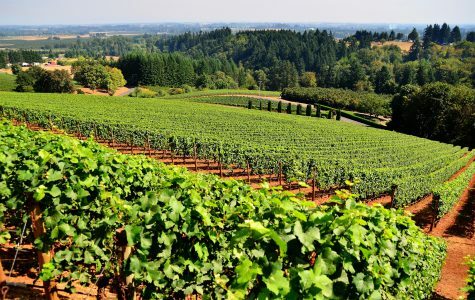 And this is why you badly need a rejuvenating weekend road trip to a quintessential getaway, especially in post-monsoon or autumn season (October – November). Traveling in the autumn season has its own perks and benefits. The surroundings undergo a subtle change and the weather suddenly becomes very pleasant. The climate is neither too hot nor too cold, it is not foggy out there and rains are rare. With balanced temperature and knocking winters, the majority of the hill stations swaddle a new freshness laden with different aromas and are ready to greet you with their bewitching beauty. Soothing breeze, chirping birds and a steaming cup of chai (with a plate of Maggie) at a roadside Dhaba are just some of the things that are synonymous with this spellbinding season. Fortunately, Delhi is blessed with some of the best offbeat getaways that have survived the rampant wave of commercialization and a self-drive road trip with friends is one of the best ways to explore them. A charming and peaceful small hill town located around 13 km from the Nainital district of Uttaranchal, Pangot is like a paradise for nature lovers and bird watchers. It is surrounded by the forest of Cheena Peak Range; there are around 580 species of birds in this area. The perfect place for that nice, long walk along the Guano Hills and you can get indulge in spotting some rare bird species. How to reach: Pangot is well-connected by road to Delhi. Since AC or non-AC buses are available only till Nainital, taking a self-driven car on rent is a feasible option to visit the place. This little Hamlet of Himachal is situated near Mcleodganj on the road to Palampur. Darang boasts of the sprawling teas estates which are mystically snuggled in the upper Dhauladhar ranges of the Himalayas. It is one of the best offbeat holiday destinations near Delhi from where you can view the majestic Dhauladhars standing tall over the delightful hamlet. For the adventure lovers, the estate has trekking expeditions that go through the enormously spread tea plantation, mountain streams, and forests of Pine and Deodar. How to reach: In order to make it to the Darang by air, tourists have to book their flight tickets for Dharamsala (21 km from the estate). Taking a car on rent for self-drive is another viable option which allows you full freedom of driving at your own pace and making random halts to click pictures. 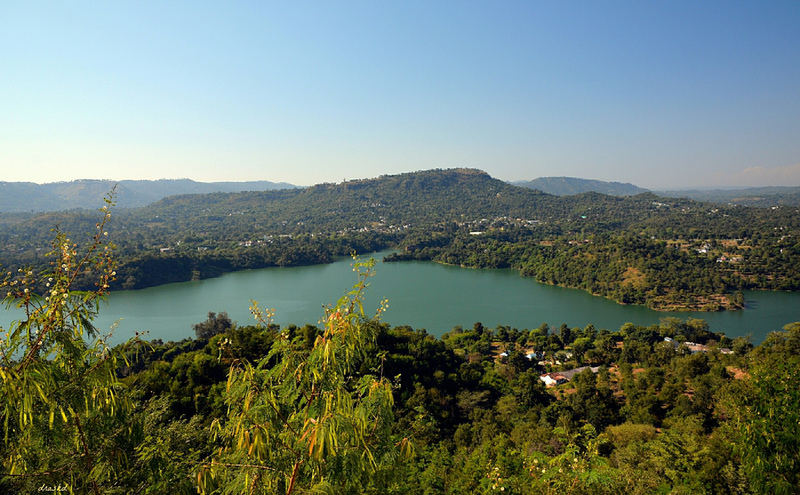 Bilaspur is undoubtedly one of the most adventurous monsoon destinations near Delhi. Bilaspur is India’s first planned hill station and is popular for the artificially made Gobind Sagar Lake on Sutlej River. It is a beautiful lake where one can rejuvenate and participate in water sports and fishing. During the rains, the eye-catching Gobind Sagar lake is a sight to behold as there are green surroundings, which provides a perfect backdrop for adventure activities. The little town has an advantage of being close to Parwanoo, Mandi, and Chandigarh. How to reach: The nearest airport is at Chandigarh. You can also take a self-drive car from Delhi to reach Bilaspur via Chandigarh. Suggested Read: https://www.avis.co.in/blog/10-amazing-airbnb-in-india-that-will-make-you-pack-your-bags/10 amazing Airbnb in India that will make you packyourr bags! 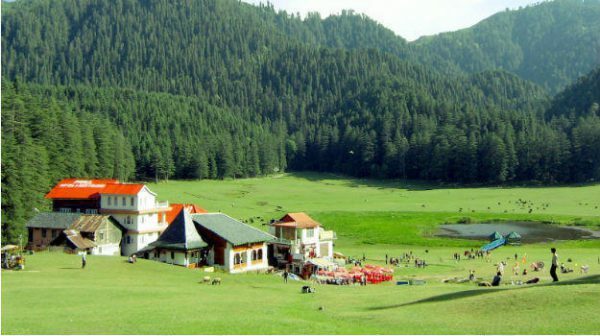 Fagu is a small bewitching hill resort located around 22 km away from Shimla and is an absolute wanderer’s delight. 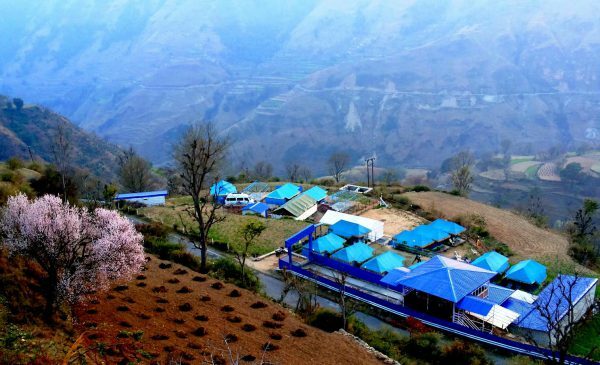 It is well known for its swaying green fields with the snow-covered Himalayas and deep valleys which are dotted with apple orchards and flower fields. July – November is the best time to visit Fagu as you can see the deciduous forests at its best. 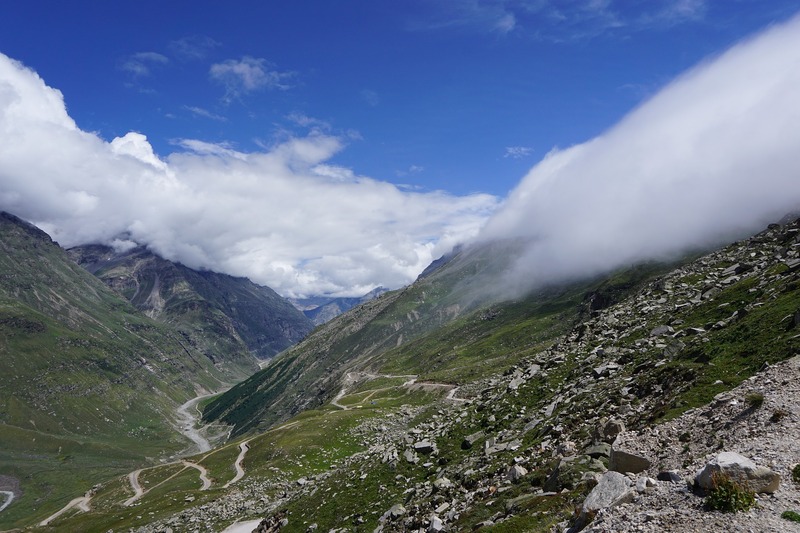 How to reach: To reach Fagu, you can hire a self-drive car and take the road route NH 1 from New Delhi to Chandigarh and head towards Shimla. 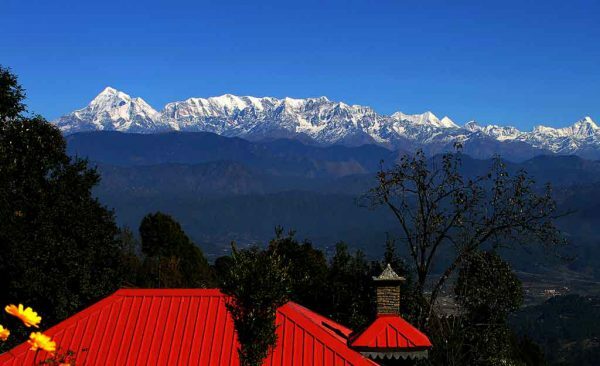 Kausani is a breathtakingly beautiful hill-station located 53 km north of Almora in Uttarakhand. It offers breathtaking panoramic views of the snow-capped peaks of Panchchuli, Nandakot, Nanda Devi, Trishul, Nanda Gunti, and Chaukhamba. October-December is generally an offseason and therefore the best time to enjoy the pristine beauty and the pleasant climate of this alluring place, avoiding all the chaos. Road tripping is the best way to explore the rustic charm of this town and for the 350 km panoramic view of the mighty Himalayas. At the end of the journey, you find that every minute of that arduous journey was worth it. 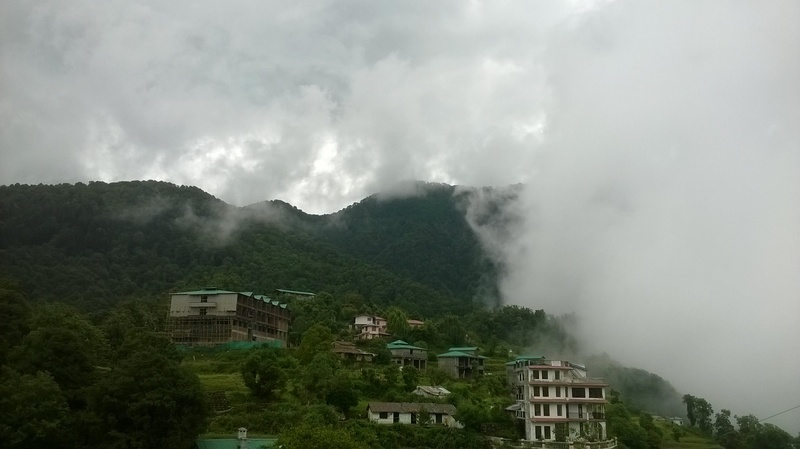 How to reach: The nearest railway station is Kathgodam which is just located at a distance of 142 km from Kausani but a car on rent for self-drive is the best option to explore this enchanting hill resort. 98 km from Dehradun, Chakrata is a small and beautiful hill town in Uttarakhand and one of the unexplored destinations for travelers. It is well known for its serene environs, virgin forests and pollution-free atmosphere. Peace, mild trekking, magnificent waterfall, and majestic mountains – Chakrata has it all to get any wanderer excited. How to reach: The nearest airport to the town is Jolly Grant about 115 km away from the region. You can also take a self-drive trip with a self-drive car rental to reach Chakrata. There are two routes one is via Panipat and Kurukshetra and the second one from Ghaziabad via Loni, Baghpat, Badaut, Shamli, and Saharanpur. The route via Saharanpur is less crowded. Located at a distance of just 13 km from Shimla, Shoghi is a heavenly paradise that makes a perfect getaway from the busy lives lead in the concrete jungles. The road to Shoghi is pleasant and undisturbed by the general humdrum of humans, however as you would approach the heart of the village, the road would be steeper. 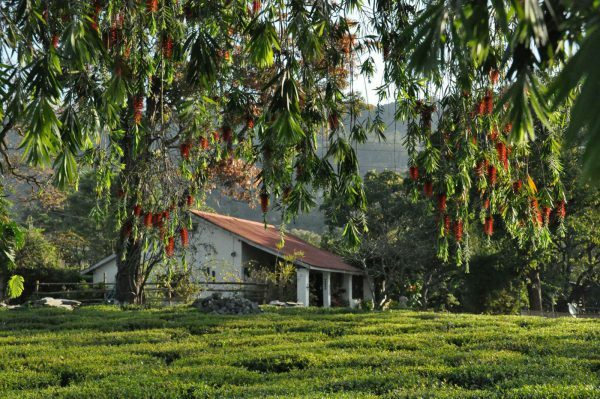 The hill station is surrounded by oak and rhododendron trees. The verdant green valley around Shoghi offers much-needed peace and tranquillity to the tourists. Shoghi is also an ideal place for trekking, camping and bird watching. 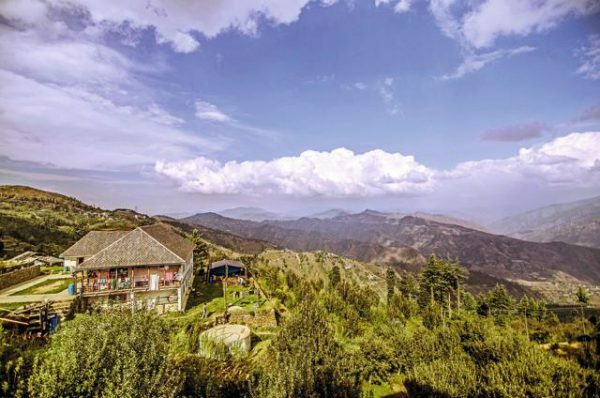 How to reach: Delhi is well connected to Shoghi via Grand Trunk Road and NH-22. It will take around 5 to 6 hours for a car/cab to reach Shoghi from Delhi. Hire a car on rent without driver and take the road to reach this beautiful destination. Don’t wait for the next season. Just pack your bags and get set go! Play #AvisTravelQuiz, The Legends of Delhi, and stand a chance to win a free Honda City ride and other assured great rewards. Hello! We are so glad that you like the blog posts. Keep following #AvisTravelBlog for great articles on travel in India and abroad. Thank you, Rikmanveer. Keep following #AvisTravelBlog for great articles on travel in India and abroad.